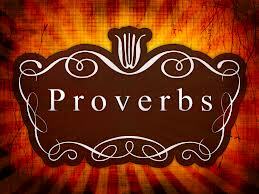 Proverbs 11:11 By the blessing of the upright a city is exalted, but by the mouth of the wicked it is overthrown. RAF: Talk is cheap. One does not bless by merely uttering kind words – though certainly that is a part. Christians do not bless their communities by simply making pronouncements. One must act to truly bless. We must live uprightly, honestly, devotedly, authentically. When we merely profess Christianity with our mouths, while denying it in our thoughts, attitudes and actions – we do not bless, we curse. When one makes the sum of their actions talk – destruction is not far behind. Beware the temptation to lip service. Proverbs 11:15 Whoever puts up security for a stranger will surely suffer harm, but he who hates striking hands in pledge is secure. RAF: What an interesting observation to be made in the midst of a passage about learning how to “weigh” things rightly. And a principle to be considered carefully in our everyday lives. Loans should not be easy to obtain. Knowledge of the individual, their habits and attitudes, their track record – their viability as a re-payer, these all need to be established well. To ignore this, is to invite disaster. The present state of our national economy bears tragic witness to this reality. But remember what is most often behind the willingness to extend risky credit – at least commercially; making a quick buck, no matter what it may do to the one who is a shaky borrower. It is a lack of love. It is valuing the profit to be made, above the welfare of the one to be profited from. An unjust, deceived balance. RAF: Beauty is an adornment, an accessory – not part of the person. Beware. It reveals nothing about their soul. It can hide the most vile corruption. And how needed this is when considering marriage. A pretty face or a handsome countenance, smooth speech, flattering words and passible explanations are often mistaken for a beautiful heart. We forget that Satan himself appears as an angel of light, beautiful – completely disguising the hidden opposition to all that is good which defines him. And let us beware that we ourselves do not mistake our own attractiveness for virtue. Just because we do not look in the mirror and see the “face” of a murderer, does not mean that a murderer’s hatred doesn’t lurk within. Oh that the Spirit of God might search us and know us, to see what wicked ways may remain within – and lead us in the way everlasting. Father help us that we are not putting the ornament of religion on an unconverted soul, and leading ourselves and others astray in the process.